The kerosene tank, now complete, should hold near 20 gallons of kerosene when filled. 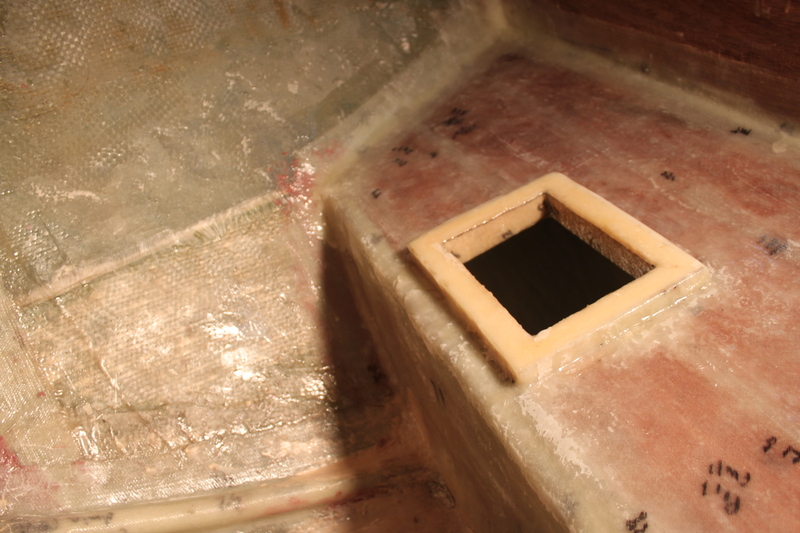 It is constructed of epoxy and fiberglass and is installed in the forward most area of the v-berth. I’m not sure if I will ever actually need that much kerosene, but I wanted to make sure I had enough tankage for sailing in colder climates or living off the grid for a long time where I would need a long term supply of cooking fuel. If you’re interested in seeing more information about tank construction, navigate to the following project section: Tankage.